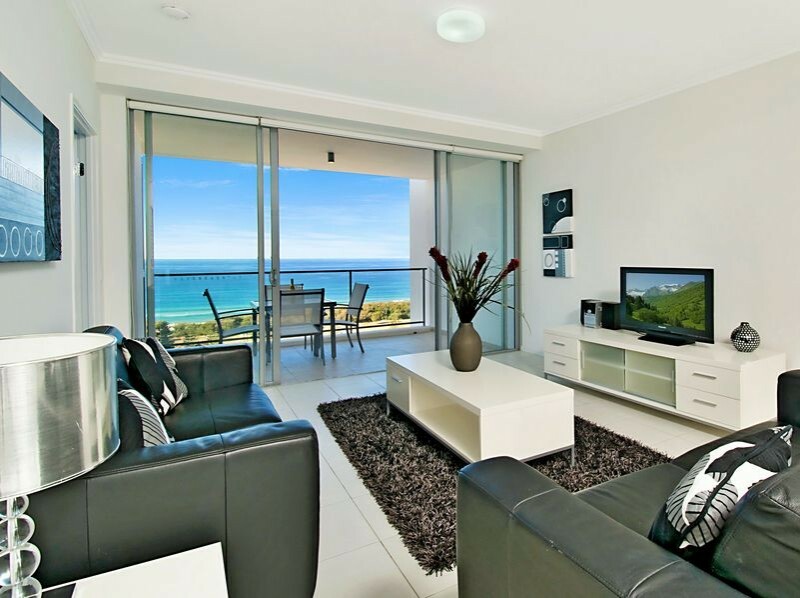 TripAdvisor’s Number #2 ranked Broadbeach specialty property, Ocean Pacific Resort, is bursting with spectacular ocean views from each of the spacious one and two bedroom apartments and is exquisitely furnished with designer fittings and art earning it a 4.5 star Official AAA Rating. Situated perfectly just back from the beachfront, Ocean Pacific Resort, not only boasts spectacular views of the iconic golden sand beaches with thundering sapphire surf from every room of the resort, but also easy access to this natural gem as soon as you step outside! Take in these breathtaking vistas from your enormous private balcony before heading down to enjoy the lavish pool surrounded by tropical gardens. This pool is a fantastic place to enjoy the water without the hassle of sand (not that we don’t love the beach!) and enjoy your own picnic lunch in the beautiful BBQ area. Then take your relaxation and rejuvenation to the next level in the heated spa or sauna. Centrally located in Broadbeach you are spoilt for choice when it comes to cuisine, with everything including alfresco, fine dining, café, and healthy options, the Gold Coast’s restaurant precinct has it all. 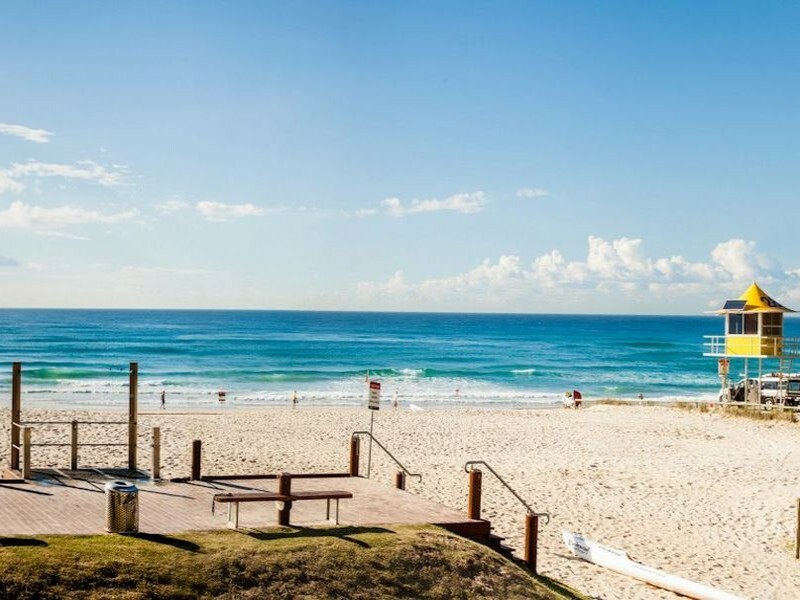 Kurrawa Surf Club is a favourite for families staying in Broadbeach as it has a relaxed atmosphere and sports some seriously amazing ocean views. And let’s face it, you won’t be wanting to settle when it comes to ocean views after spending time in your apartment! Sage Restaurant was presented with the Best Family Restaurant 2014 by ‘I Love Food Awards’ and has a delightful menu complimented by a family friendly ambience that says ‘I’m stylish and offer high quality food and wine, but it’s okay if your children accidently drop their cutlery’. Yellowfin is another fantastic dining option that was voted Number #1 Seafood Restaurant on the Gold Coast 2014 by Gold Coast Bulletin readers. The great menu is complimented by the open air venue that offers both indoor and alfresco dining as well as excellent customer service. 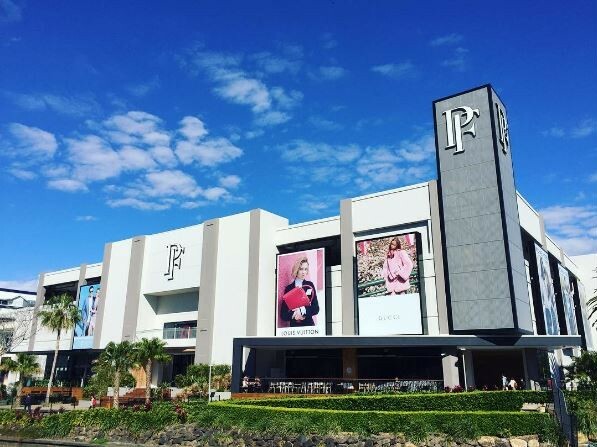 As well as being the Goldie’s foodie hub, Broadbeach is also a stylish fashion district! Your options range from boutiques, homewares, and couture in the mall to Oasis shopping centre which boasts over 100 specialty stores ranging from yoga studios to supermarkets to chemists to fashion alcoves, to designer shoe nooks. If your trip coincides with the first or third Sunday of the month you are in luck! The Broadbeach Arts and Crafts market is at your disposal with over 150 stalls offering trinkets, jewellery, homewares, food, fashion, and more! For the ultimate shopping experience don your favourite comfortable shopping outfit, exit Ocean Pacific Resort, take your first left, walk 300 metres across the fairy-tale-like moat-bridge to Pacific Fair Shopping Centre. This newly refurbished centre offers over 300 stores including the Gold Coast’s largest Myer, a cinema complex, and variety of magnificent restaurants. This magical island of shopping happiness is a great experience either solo, with girlfriends, or with the kids as there is plenty to keep the little ones entertained while you find the perfect outfit or boot to go with your winter wardrobe. 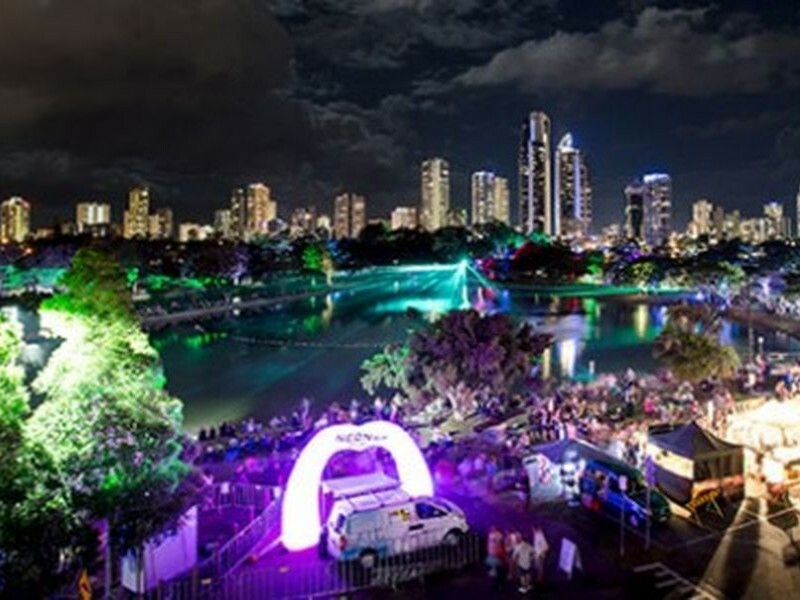 Both Jupiters Casino and the Gold Coast Convention and Entertainment Centre are within walking distance so you can plan a ritzy night out at the casino or enjoy a romantic date with your partner and watch a show at the entertainment centre. The latest addition to the Gold Coast, the ‘G’ or Tram now connects Broadbeach to the rest of the Gold Coast with a station situated just outside Ocean Pacific, it is easier than ever to explore the Gold Coast’s hot spots. 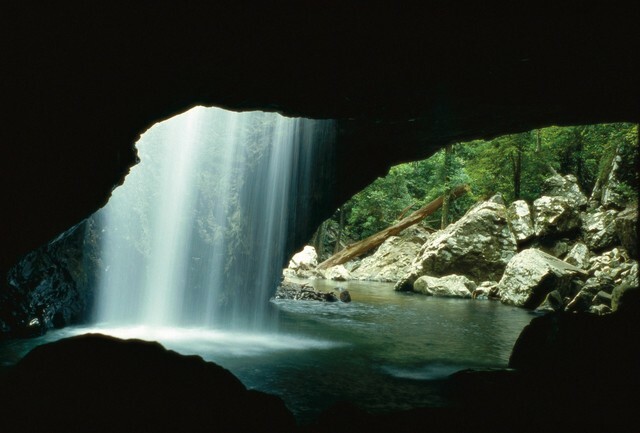 The hinterland offers beautiful nature walks, stunning displays of the native flora and fauna, and cozy restaurant and café nooks. While the theme parks are north of Broadbeach and are just waiting for visitors to enjoy the awesome and thrilling rides and attractions. With so much to offer, the Gold Coast is more accessible than ever. Awarded the Trip Advisor 'Certificate of Excellence' 5 years running and recently elevated to the review body’s prestigious 2015 Hall of Fame, Ocean Pacific does more than just talk a big game. The resort boasts stunning facilities, spacious and beautifully-furnished apartments, panoramic views, and excellent customer service consistently recognised by Trip Advisor. 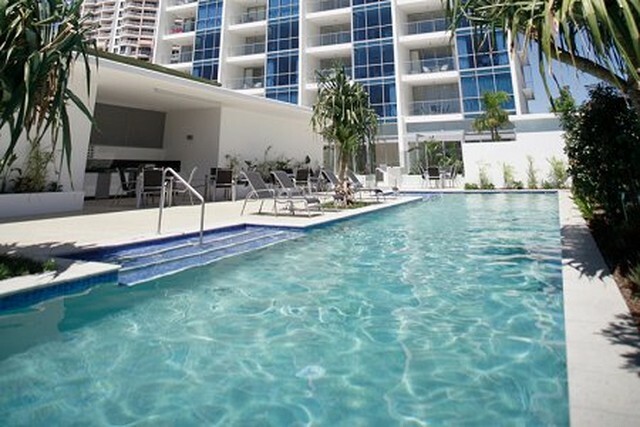 For a luxury Broadbeach escape that is sure to please the entire family, speak to Discover Queensland about booking your next Ocean Pacific Resort stay today.